Isiah Factor | The Insite » RUSH GETS THE BOOT FROM A GROUP OF INVESTORS IN A BID FOR A NFL TEAM! RUSH GETS THE BOOT FROM A GROUP OF INVESTORS IN A BID FOR A NFL TEAM! October 14, 2009 | Posted in Uncategorized | Comments Off on RUSH GETS THE BOOT FROM A GROUP OF INVESTORS IN A BID FOR A NFL TEAM! NFL: HE’S TOO DIVISIVE TO BE A PART OF LEAGUE! Conservative radio talk show host Rush Limbaugh has been dropped from a group seeking to buy the St. Louis Rams. Limbaugh was to be a limited partner in a bid led by St. Louis Blues chairman Dave Checketts, but Checketts said in a statement Wednesday that Limbaugh’s participation had complicated the effort. The group will move forward without him. Checketts said he will have no further comment on the bid process. Limbaugh did not immediately respond to an e-mail sent late Wednesday seeking comment on Checketts’ decision. 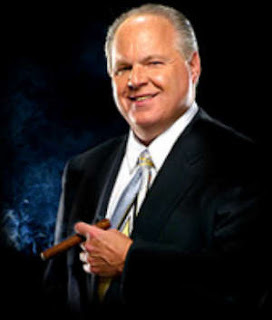 Limbaugh said on his radio show earlier Wednesday that he had been inundated with e-mails from listeners who supported him in the bid. “This is not about the NFL, it’s not about the St. Louis Rams, it’s not about me,” Limbaugh said. “This is about the ongoing effort by the left in this country, wherever you find them, in the media, the Democrat Party, or wherever, to destroy conservatism, to prevent the mainstreaming of anyone who is prominent as a conservative. Limbaugh’s bid ran into opposition from within the image-conscious NFL on Tuesday when Colts owner Jim Irsay said he would vote against the radio personality. Commissioner Roger Goodell said the commentator’s “divisive” comments would not be tolerated from any NFL insider. The Rams had no comment, reissuing a statement from Oct. 5 in which owner Chip Rosenbloom said a review of the team’s ownership was under way and the club will make an announcement when it’s over. The move was hailed by the Rev. Al Sharpton, one of the most vocal critics of Limbaugh’s bid. Every major pro sports franchise has dealings with its community, he said. “It’s unfair for taxpayers to be underwriting people who denigrate them,” he said.